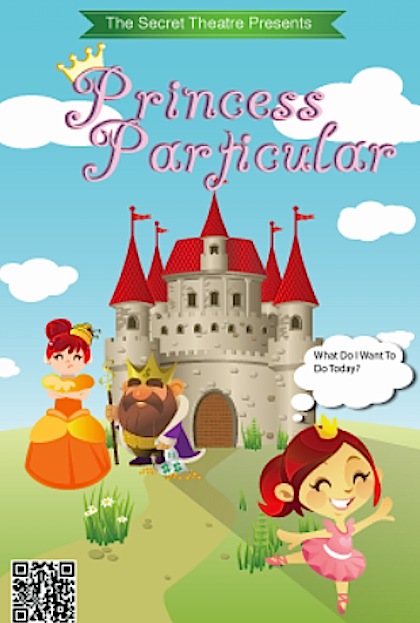 Secret Theatre Presents: Princess Particular on Feb. 9 at 2:30 p.m.
Princess Particular is off her rocker; all she can think about is her latest scheme to become a ballerina. Her Mom and Dad, King Loads-a-dough and Queen Patience, want her to focus on her princessly duties. Luckily, her maids, Chancellor, and Lady-in-Waiting are on hand to help make her dream come true. Join our perky palace-goers each month for pliés, pastries, and and “toe food”! Directed by Terrance O’Lear. « Book Culture LIC: The Bookshop Band Live in Concert on 1/19 at 5 p.m.